Wind Damage: How Does the Wind Affect Asphalt Shingle Roofs? Home / Roofing / Wind Damage: How Does the Wind Affect Asphalt Shingle Roofs? The roof edge is a critical area of sloped roofing systems. When high winds hit the roofing plane, high air pressure is created at the leading edge of the first row of shingles. Low air pressure is simultaneously created at the top of the edge. Together, they create a force that pulls at the shingle tab, which can tear the shingles off the roof. The force increases with every row of shingle torn off. This is why it’s important to invest in a roofing system that not only has high-wind-resistance ratings, but also has features like a reinforced starter strip. Proper installation is also important, so choosing an experienced roofing contractor – preferably one that holds certification form the manufacturer that they represent – can make a big difference. All American Roofing holds the Master Elite® designation from leading manufacturer GAF. High winds can also exert force on the shingles and pull them over the heads of the fasteners. While it has the same effect as tab uplift, shingle pullover is more likely to happen if there are issues with the fasteners. It could be due to installation errors, or because the fasteners used are substandard. Shingle pull-over can be prevented by hiring a roofing contractor who uses quality roofing materials, and has the training and know-how to install them properly. In some cases, the asphalt shingles have perfectly fine adhesives and fasteners, and will stay in place. However, they could bend far enough to form creases or get torn in half. When this happens, you’ll still see half-rows of shingles, where the fasteners are. This means the shingles are not stiff enough, and should be replaced with better quality ones. 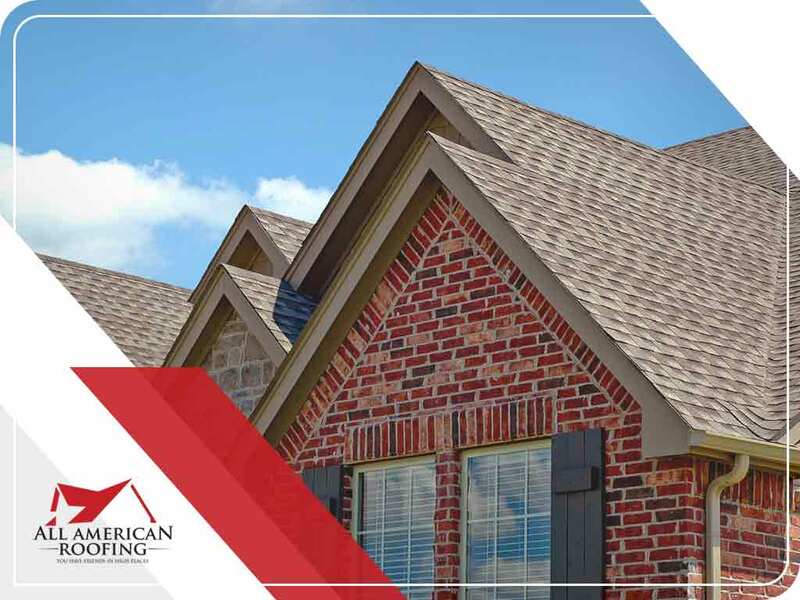 If you need a roofing expert that is also a roof insurance claims specialist, call All American Roofing today at (888) 786-0400. You can also fill out our contact form to schedule a free consultation. We serve Edmond and Norman, OK, as well as surrounding OKC areas.